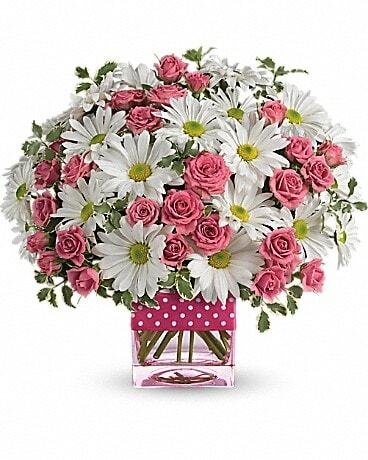 Teleflora's Polka Dots and Posies in Traverse City MI - Cherryland Floral & Gifts, Inc. 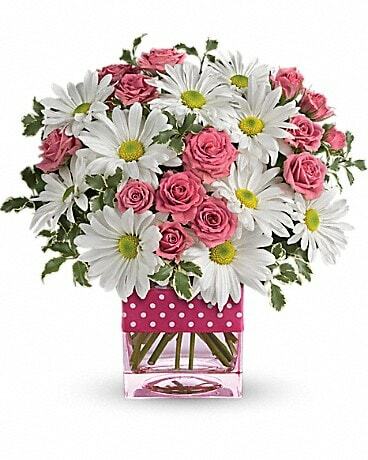 These petite posies pack a punch with bright white florals that are polka dotted with pops of pink flowers! 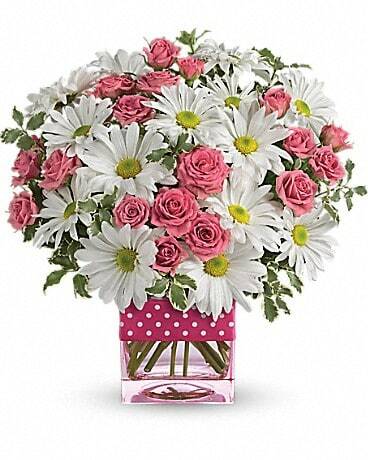 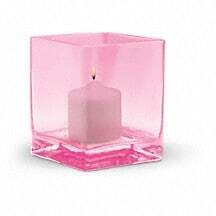 Displayed in a clear glass vase and topped with a matching bow.